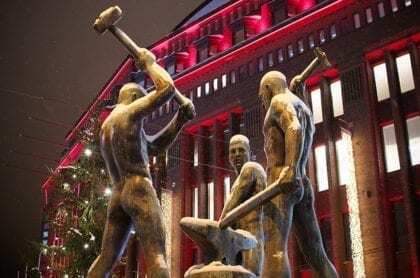 Finland’s Ministry of Social Affairs and Health has drafted a bill proposing a basic income experiment to test the effects of unconditional cash payments on work incentives. According to a press release dated August 25, the bill recommends that a basic income experiment be conducted in Finland from 2017-2018, under the guidance and direction of the Social Insurance Institution of Finland (Kela). This is consistent with previously announced plans . Under the proposed experiment, Kela will provide a basic income of 560 EUR per month (equivalent to about 630 USD), exempt from taxation, to 2000 individuals who are currently receiving unemployment benefits. The sample will be randomly selected from a pool of current beneficiaries of unemployment-related aid. To prevent selection bias, participation in the basic income scheme will be mandatory for those selected. A control group will also be drawn from this population; individuals in the control group will continue to receive their typical unemployment benefits. According to the press release, the primary objective of the experiment is “to obtain information on the effects of basic income on the employment of persons”. In particular, the government is interested in determining whether basic income effectively reduces the incentive traps associated with means-tested benefits (e.g., unemployment benefits that are lost once the recipient finds a job). The government’s hope is that basic income will encourage more individuals to accept jobs. Given the primary concern with employment effects, students and elderly persons are to be excluded from both the experimental and control groups. Although the experiment is designed to test the effect of basic income on work incentives, the Finnish government is also interested in basic income as a way to “reduce bureaucracy” and to “simplify the complicated benefits system in a [financially] sustainable way”. The amount of 560 EUR per month was chosen to ensure that no individuals would endure a net loss in support under the basic income trial. According to an article in Yle, “A full basic income that would replace existing earnings-related benefits would not be politically or economically feasible” . The draft bill released today by the Ministry of Social Affairs and Health signifies a crucial next step in the development of the Finnish basic income experiment. We now not only have a clear commitment from Juha Sipilä’s government that they are proceeding with piloting the first nation-wide basic income scheme. The proposed legislation also clearly sets out the parameters of the proposed pilot scheme, which was the topic of quite a lot of speculation in the media. Assuming the bill is approved by the Finnish Parliament and it passes the scrutiny of the constitutional committee, Olli Kangas and his research consortium will spend the next months working out many practical issues to ensure the experiment can kick off as planned in 2017. For basic income advocates, however, continued engagement with key political stakeholders in Finland remains a must. This is merely the start of a political process towards a universal and unconditional basic income in Finland. The Ministry of Social Affairs and Health will hear opinions on the proposed legislation until September 9. After this date, it will submit the proposal to Parliament. If passed, the act authorizing the experiment will go into force on January 1, 2017. Ministry of Social Affairs and Health, “Ministry of Social Affairs and Health requests opinions on a basic income experiment“, Sosiaali-Ja Terveysministeriö; August 25, 2016. Olli Kangas, Research Director at Kela, has also written a blog post covering the announcement (in Finnish). In the post, Kangas explains that a partial basic income, as selected for the experiment, was the only feasible model given budgetary and time constraints. “Kokeilulaki osittaisesta perustulosta lausunnoille“, Kela; August 25, 2016. “Basic income pilot takes shape – mandatory participation for 2,000 unemployed“, Yle; August 25, 2016. Universal – not yet. it IS an experiment, as the article states, and Sufficient – it’s €40 more than my unemployment benefit. But, as it has NO effect on my earnings, unlike the current regime, where ½ of anything I earn over €300 per month is deducted from my unemployment benefit, I see this as a real incentive to get even a menial job. The fact that Finland is undertaking this is a credit to them. The puported reason of studying the effects on employment engagement is almost farcical. Practically every other study conducted has tested this and there has never been any negative engagement displayed. Does Finland think that their citizenry is that different from the rest of the world that they have to do this yet again? One thing is pretty certain; if this is the basis for instituting it on a national scale we can be sure that Finland will be adopting it universally within a few years.